In a large pot bring the milk to a boil. Once the milk begins to boil add the rice. Boil for a little while until the milk begins to appear thicker, not so runny. Add the sugar and the saffron and boil some more. When you see the rice begin to float on the top of the milk instead of just dropping to the bottom of the pot, you know it is ready. This should take a little over one hour. Cool and serve warm or chilled. Garnish with some pistachio nuts if desired. 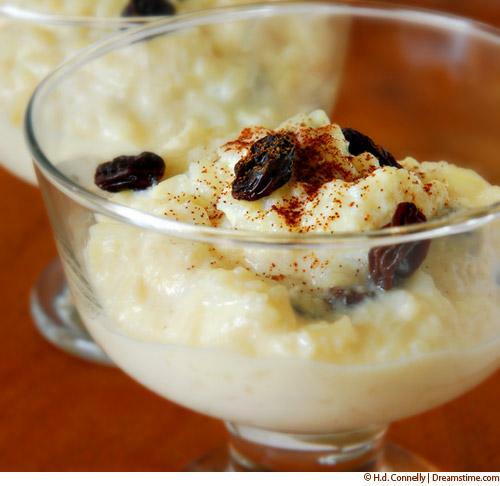 Variations: To make richer creamier sweet rice, replace some of the milk with cream.